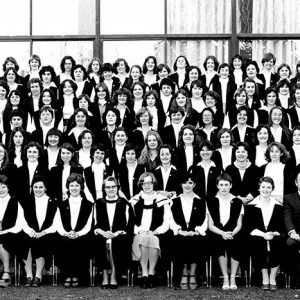 1976 – Sister Mary d’Apice took up her position as Principal, and Miss Aline Fenwick was elected as Chairman of Council, replacing Dr Harry Davies. 1976 marked the College’s 50th Anniversary Year, a milestone marked by a program of events including a special dinner held in May, and a Mass presided over by Cardinal Freeman. In her report to Council at its October meeting, Sister d’Apice reported that the Jubilee Mass had been a very successful and particularly happy function, and that Dr Bye’s reminiscences of Sancta in its early days were well received. 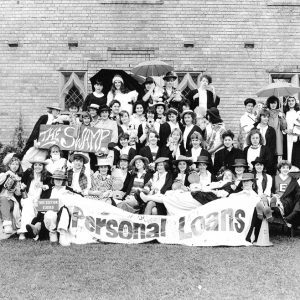 1976 – “Happiness” was recurring theme, with the Student Representative on Council agreeing that Sancta was a ‘happy college’, and Sister d’Apice’s report to the October meeting of Council reporting that the College’s equal first place in the Inter-college Rosebowl competition was, in part, a reflection of the spirited and enthusiastic support of the whole college for the sporting events. 1978 – At its meeting of 3 August, Council welcomed Sister Bernadette Evans as Acting Principal for the remainder of 1978, due to Sister d’Apice’s sabbatical to undertake study in the United States. In accordance with the provisions of the Sancta Sophia College Act, Sister Evans was appointed as Senior Vice Principal so legally she could become Acting Principal. 1978 – On 30 November, Council was made aware that the RSCJ were no longer in a position to offer two or three names for the position of Principal as it had in the past, and great difficulty was being experienced in finding someone for the position. However, Sister Patricia Toohey agrees to serve as Principal for one year, 1979. Ultimately this appointment would be extended until 1983. 1979 – In light of the difficulties faced in finding a Principal, Council was of the opinion that the Sancta Sophia College Act should be amended to give both the College more chance of getting a Principal and the Order freedom to deploy its people as they saw fit now that their resources were being stretched. 1979 – Following a period of financial challenges through the early part of the 1970s, the College experienced a turnaround by 1978, with the Finance Report tabled at the final Council meeting of the year reporting 100% occupancy rates, and maximum conference and seminar use contributing to a most encouraging financial position. While the college benefited from the conference and seminar bookings, its success (along with that of the other colleges) raised the ire of the Motel Association of NSW which wrote to the University in 1980 complaining of unfair competition in the conference trade. 1981 – The return of a Sancta Sophia Magazine after an absence of 20 years. Introducing the magazine, the Magazine Committee – comprising Janet Hunter, Danusia Kucharska and Sandra Koller – wrote “Believing that College years are the best years of one’s life, we decided to preserve a little of Sancta Sophia College 1981 in literary form – for posterity – and so the Magazine Committee was formed…we found it difficult at first to gain support for our venture. This we overcame by persistent propaganda.” The resurgence of the magazine was endorsed by the College Council, which agreed at its June 1981 meeting to support the project, congratulating Janet Hunter on her initiative. 1981 – This year also marked 20 years of service to the College by the Night Portress, Mrs Dooner. 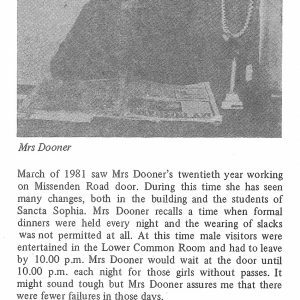 Paying tribute to her service, the College Magazine reported that Mrs Dooner would wait at the Missenden Road Door until 10pm each night for girls without passes. Interested in craft, Mrs Dooner regularly made items for the St Joseph’s monthly stall, and always had a time for a chat. 1981 – 24 April saw a Mass and party organised to celebrate Mother Arnold’s 90th birthday. The Sancta Sophia Choir sang at the Mass, including a specially composed birthday song. 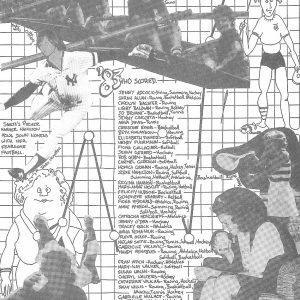 1981 – On 27 June students attended a Buck’s Party and Shower Tea for Prince Charles and Lady Diana Spencer at St Paul’s College. 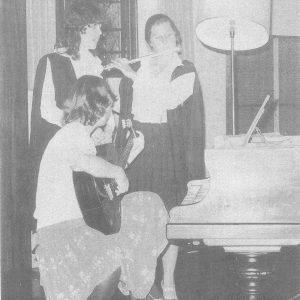 1981 – In a break with tradition, the Social Committee organised the College Formal at an offsite location, utilising the University Union facilities on Campus. The same committee, faced with financial difficulties, organised a port bottling as a fundraiser, combining forces with the St Paul’s College Cellar. Three hundred bottles bearing the Sancta Sophia College label were bottled. A resident guest at the College, Dr Don Dodsworth of Waterloo Ontario remarked that “Sancta seems like a buzzing beehive of activity”. 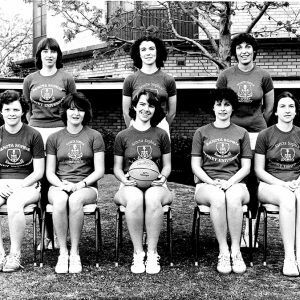 1981 – Sancta Sophia College was victorious in the inter-college basketball competition, resulting in the College’s solitary Victory Dinner for the year. 1983 – It was decided that the College should clear its cupboards of its ‘historical miscellania’, and turn its attention towards preserving the College’s heritage. At the Trinity Term House Committee meeting, Sr Toohey, the Principal, invited applications for a student to work under the supervision of Miss Nanette Kelly (a member of Council) as ‘Assistant Archivist’. The College Magazine for 1983 reported that Council had received a grant enabling this work to be carried out. 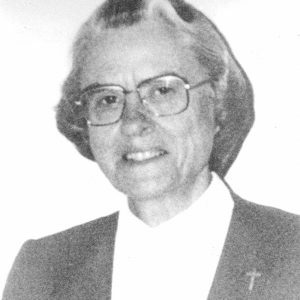 1983 – Third Term marked the beginning of Sister Mary Shanahan’s tenure as Principal. 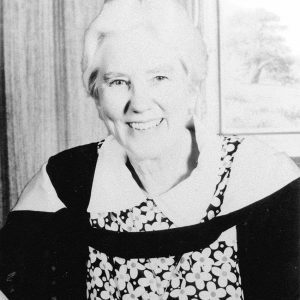 Sister Shanahan’s appointment came following a meeting with the College Council on 17 June 1982, at which she presented her views on the role of Principal. The minutes of that meeting record that “members felt that Sister Shanahan, with her long association with the College, was aware of the practical aspects of the Principal’s role, but in addition had indicated an approach to the job which could add value to the life of the College and influence that of the University and the community generally. They were willing to meet her challenge.” Sister Shanahan accepted appointment for three years. 1983 – Coincidently, at the same meeting which approved the appointment of Sister Shanahan as Principal, correspondence was tabled which noted the amendments to the Sancta Sophia College Act had passed on 16 April 1982, to the effect that the Principal can be other than a nun. 1983 – The Minutes of the Council Meeting of 15 September record that Beth Finlayson had been appointed to the role of Archival Assistant, reporting to Miss Nanette Kelly, a member of Council. The storage of the Archives, the identification of photographs and the possibility of conducting oral history interviews with people associated with the early history of the College were all matters exercising the minds of the sub-committee appointed to oversee the work of the Archival Assistant. 1984 – In November 1983, Council considered a submission from Hilary Carey (nee Beange) to write the history of the College. While it agreed to support this concept, Council resolved at its meeting on 21 June to defer the writing of the history of the College until the 75th year. 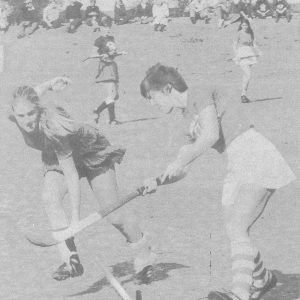 1984 – The retiring House Committee instituted two new awards at the College: Sportswoman of the Year, and an Honours Board to be inscribed with the names of the first year, second year and senior students each year acquiring the best academic passes as determined by the University. 1984 – The Bake Prize for Religious Art was won by a former Sancta Sophia student, Mary Hall (nee Nathan), with a mosaic inspired by the opening chapter of Genesis. 1985 – After much discussion over several years, Council resolved at its meeting on 4 July to place the pre-1801 holdings from the John Lane Mullins Collection and general library on permanent loan in the Rare Books Section of the Fisher Library. The decision was made taking into consideration the deteriorating state of many of the books, and the difficulty of caring for such treasures. Appointed as Business Manager in November 1974, John Chapman served the College in this role for twenty years. Arriving a time when the College was in a financially precarious position, John Chapman proved himself a most efficient manager, implementing a plan to not only bring the College back into position of financial stability but also building up the Conference business to increase revenue. Ably assisted by Sister Pauline Verschaffelt and Miss Lillian McGee, Mr Chapman made a significant contribution to the administration of Sancta Sophia College. Nominated by Marion Deisner and Dr Dora Bye to fill the Council vacancy caused by the death of Miss Mollie Cahill, Nanette Kelly was elected to the Sancta Sophia College Council in 1976, and served until her resignation in December 2000. A graduate of the Universities of Melbourne and Sydney, Miss Kelly was actively involved in educational affairs for many years. 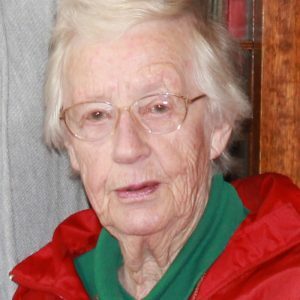 She worked as a teacher and librarian in Melbourne, Sydney and the United Kingdom, and was a senior lecturer at Sydney Teachers’ College at the time of her election to Council. An active contributor to Council, Miss Kelly took a particular interest in the College Treasures, the Library and the College Archives, and served as the liaison between the Council and student Archival Assistants to ensure the College’s archival records were managed and preserved for the future. A graduate of the University of Sydney, Mary d’Apice completed a medical degree before entering the Society of the Sacred Heart. Among her roles she served as Dean of Students at Sancta Sophia College in 1953. Taking up her appointment as Principal in 1976, she oversaw the celebrations for the Golden Jubilee of the College. Sister d’Apice placed an emphasis on achieving academically, and had a desire to improve the liturgies in the College. She brought an excellence to the quality of college life. Although preferring a secondary education ministry, Sister Patricia Toohey agreed to take on the role of College Principal at a time when it was becoming increasingly difficult for the RSCJ to identify suitable candidates for the role. Her initial appointment of one year eventually extended to four. In acknowledging her contribution to the College, Council noted with gratitude that Sister Toohey had remained in the role well beyond what was originally asked of her. A quiet, retiring person, she is remembered as a compassionate, dedicated Principal who held the College together gently, but firmly, at an awkward interval.